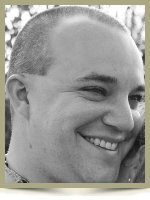 Putnam, CT – Timothy M. Hand, Jr., 31, of Church St. passed away Sunday, November 24, 2013 at Day Kimball Hospital. He was the loving husband of Marie (Trudo) Hand and the proud expectant father of their child due in January. Born in Providence, RI, he was the son of Timothy and Joyce (Lemay) Hand of Pascoag, RI. A native of Burrillville, Timothy attended Burrillville High School and was a member of the Knights of Columbus Pascoag Council 383. Most recently, he was a student at Johnson & Wales studying Culinary Nutrition and a Chef at Costantino’s Ristorante in Providence, RI. Timothy immersed himself and those he loved in cooking, gardening, science, hiking, music, and travel. His passion for life and the natural world around him was, and continues to be, an inspiration to all who knew and loved him. In addition to his wife and parents, Timothy is survived by his brother, Jonathan Hand, wife Sabrina and son Dolan of Johnston, RI; sisters Rebecca Hand of Pascoag, and Elizabeth Hand and son James Lubas of Pascoag. He also leaves relatives in law: John and Elaine Trudo of Thompson, CT; Leah Trudo of Thompson; Anne Carraher, husband Michael and children Benjamin, Meghan, and Goddaughter Lauren of Dayville, CT. Calling hours will be held from 5:00pm to 8:00pm on Friday, November 29, 2013 at the Gilman Funeral Home, 104 Church St., Putnam, CT. A Mass of Christian Burial will be held on Saturday, November 30, 2013 at 10:30 am at St. Patrick Church, 45 Harrisville Main St, Harrisville, RI 02830 (meeting directly at church). Burial will follow in St. Patrick Cemetery, Pascoag, RI. For memorial guestbook visit www.GilmanAndValade.com. Offer Condolence for the family of Timothy Michael Hand, Jr.
I’m so very sorry for your loss. I’m lost for words. Your families have been in our thoughts and prayers. My deepest sympathies to Tims wife and his entire family. Tim was a wonderful person. He was a kind and gentle soul with a zest for life. I am sure that when you look in that tiny baby’s eyes Tim will be looking back at you. Shocking and unfair this life can be. My prayers and thoughts go out to all of the Hand family, extended families and friends. This has been a very sad year for the Hand family. We are so sorry for the tragic loss of our cousin, we will keep all of the family in our prayers. I’m so very sorry for your loss, Marie. It is surely a most difficult time for you. My thoughts and prayers are with you. May you find strength and hope in those newborns eyes. Love to the whole family. My father and I offer you our most sincere condolences on your great loss, Marie. Please be assured that our prayers are with you during this difficult time. You will have a beautiful and lasting legacy of your dear husband in the person of the child you will receive into the world in January. We will all trust in the Lord to give you comfort and consolation in this time of grief and loss. God Bless you and your forthcoming child as you mourn the loss of your good husband. Please know my prayers are with you and your beautiful baby. May our good and loving God give you the great gift of peace! Dear Marie. We are so sorry to hear of your lose. May god bless you and your family and give you the strength and courage to remain strong thorugh this terrible ordeal. May god bless you and watch over you. Ed Nickles and your friends at Watertown Plastics Inc.
Marie, I am so sorry for your loss. My thoughts and prayers are with you and your family. Tim-You will be greatly missed by all. Thanks for all the high and grade school memories. You are the sweetest person. RIP, Tim, until we meet again. My thoughts and prayers are with you and your family. My sincere condolences to you Marie and Tim’s entire extended family. I will forever be grateful for the life lessons Tim has taught me~ put love into all that you do. He influenced us all and touched the hearts of all he knew. Tim will forever dance his dance of love shining down on all of us. Know that God is with you in a very close and dear relationship at this time Marie, and he will carry you through. Wife and I very sorry for the loss. We are deeply sad to hear about the passing of Tim. Shocked like all, in fact. He had a free spirit that anyone would be lucky to have come in contact with their whole life. We are lucky to be counted as two of those people. Our deepest sympathy to his family at this difficult time. May warm memories of Tim carry your hearts through this difficult time. Wife and I are very to hear of your loss. Marie,I am so sorry for the sorrow that you are dealing with.I pray God will give you all the strength and support you need. I am very saddened about what has happened. I liked Tim very much.He was always a pleasant guy.Enjoyed working with the both of you. God bless. I was so saddened to hear of Tim’s passing. I will forever remember that little Cub Scout. Although I never knew Tim as an adult, I do know memories keep people with us forever. Marie, Tim & Joyce, May the blessing of the new life yet to come comfort you and remind you that Tim will always be with you. My thoughts, prayers and condolences are with you all. we were shocked to hear of Tim’s passing. Tim you will be missed. All those games of disk golf and watching that 70s show will never be forgotten. You were a great friend and I loved the free spirit that you had. You will always be missed but never forgotten. Love you! My deepest sympathies goes to his family, wife and child. I was very sorry to hear of Tim’s passing so suddenly. My deepest sympathies to the entire family at this sad loss. I am so very, very sorry to hear from your loss. I’m also sorry I wasn’t able to make it to the viewing or services — I just heard about this today. Marie, if you need anything, please feel free to call me! Bob Fournier at Gilman & Valade will know how to get in touch with me. Again, I am so, so, so sorry for your loss. I am so sorry for your loss. My heart and prayers go out to you and your family. Timothy is a great man and will be remembered. Tim, we will miss you, your smile, your love of life, your culinary creations and so much more. I wish we had more time. You left us way too soon. We are all devastated from your passing. Our prayers and thoughts are with you and your family. God Bless and Rest In Piece.